9 × seven = Required Please enter the correct value. With a Fed rate hike on the table when the Federal Open Market Committee (FOMC) meets Dec. 15-16, Americans need to start thinking about how it will affect them. When the U.S. Federal Reserve raises rates, its widespread impact may surprise some people since the last time we had a Fed rate hike was 2006. A Fed interest rate hike will affect more than the markets. Just about every interest rate keys off the Fed rate in one way or another. That includes many interest rates that have an impact on consumers. Here's what you can expect when the Fed raises rates. Credit card rates: Most credit card interest rates are variable, so a Federal Reserve rate hike will mean a boost to the rate applied to your monthly balance. While you won't much notice an increase of 0.25% (it's about $1 more on a balance of $5,000), a string of Fed rate increases could start to pinch your budget. Keeping balances low will minimize the impact of any rate hikes. Of course, if you pay off the card in full each month, the interest rate the bank charges doesn't matter. College loans: Private student loans often have variable rates as well. So a Fed rate hike will increase the interest rate on a lot of student loans, making that debt a little bit harder to repay. Mortgage rates: If you have a fixed-rate mortgage, a Fed rate hike won't affect you. But those with adjustable rates will see an increase at their next reset period (usually either monthly or annually). 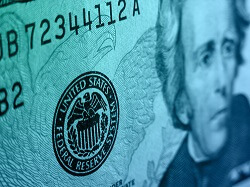 Most of those with a home equity line of credit (HELOC) will also see a rate increase, which will take effect within a month of any Fed rate hike. Anyone thinking about buying a home or refinancing a mortgage should try to snag a lower rate before the Fed makes its move. Auto loans: The connection between auto loans and the Fed rate is less direct, but if interest rates are rising generally, auto loans will be affected eventually. The Fed will raise rates, it will have a negative impact on the economy but it provides the excuse the Fed needs to fire up the QE printing press and devalue the dollar, create inflation and monetize the national debt and inflate out of this mess. The trick with future QE to create inflation is to get the money from the Fed into the economy rather than the US Treasury and banks.